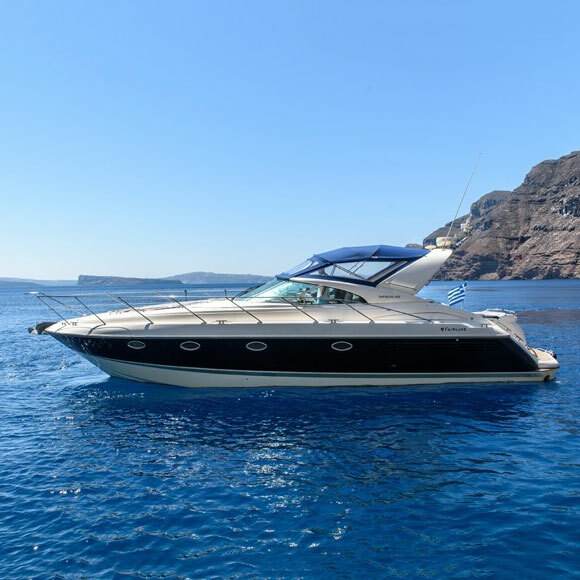 A sense of freedom is what defines Fairline Targa 43! There is space, lots of it. A beautiful and luxurious open space with a living room and a sun pad combined with powerful engines and minimalistic architecture. This is what makes this luxury motor yacht unique! 130 m² / 1399 sq.ft. Plan your special day with us!